ACME charges less, and offers LOTS of extras - which is what makes us such a rare find. There. We said it. And when you book direct with ACME you get even more FREE STUFF. 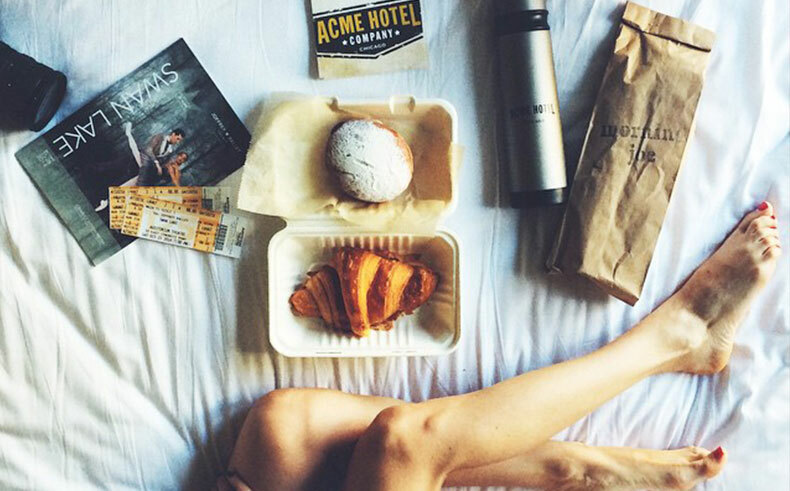 Enjoy exclusive perks and extras, from the latest in tech to Knock & Drop room service. 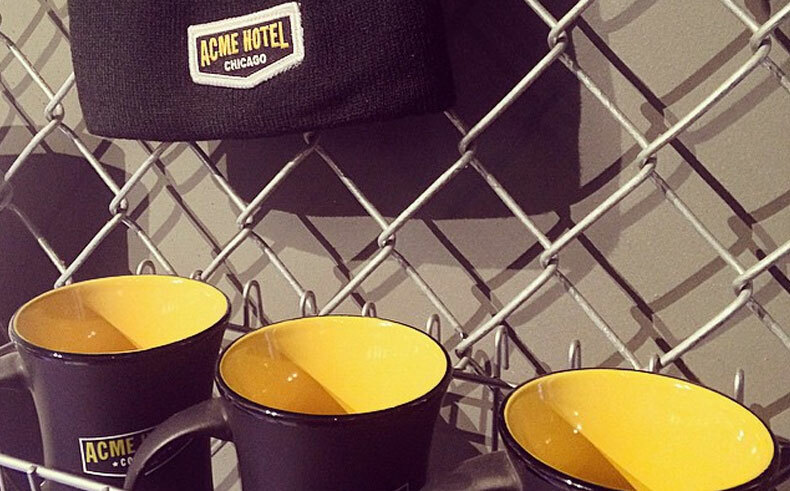 A signature of ACME Hotel, our FREE Morning Joe® coffee room delivery has become the most popular kid on the block. Simply place your order at check-in and our staff will hustle up a FREE thermos of piping hot coffee to leave at your door at the time you choose. 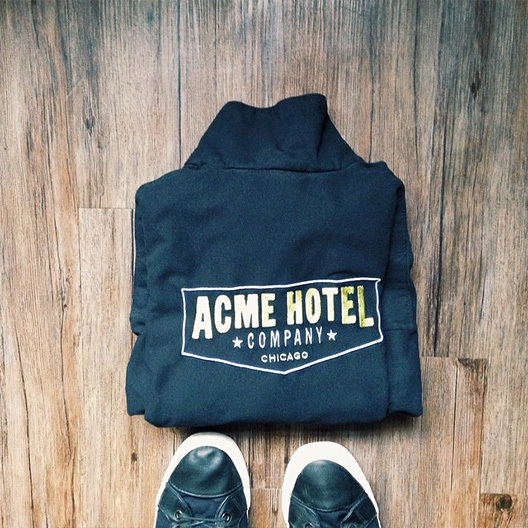 ACME offers Knock & Drop room service courtesy of the yummy West Town Bakery right downstairs in our lobby. Knock & Drop you say? Yep, we deliver the food with a knock at your door - so no need to fumble around for tip money or wrap yourself precariously in a towel. Each of our rooms features a snack tray with reasonably priced tidbits, plus a mini-bar. Plus, our suites feature a wet bar and microwave. Unlike other hotels, this isn't for profit. Just an added convenience for you. Let the party begin! We've got lots of extra's for the techy-inclined, like PC compatible hook-ups, super fast Wi-Fi, and our suites have state of the art Bowers and Wilkins Zeppelin wireless audio systems. All this, plus 100 MB bandwidth. Now you can come and go with the stealth of an alley cat with ACME's super high tech and convenient keyless entry! Just download the YIKES APP and when you get here, simply touch the magic button and you're in! Feel free to shout a Hello to the front desk if you wish - they're a pretty needy bunch!! Hankering for the best meatball in the 312? Feeling the need to get your blues on? Meet Alexa - your very own in-room personal assistant. She'll tell you the who's who and the what's what and even order up your Morning Joe®. You'll wonder what you ever did without her! 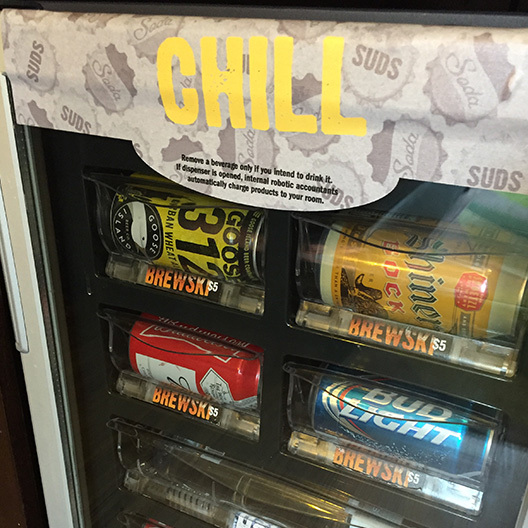 Sometimes you want something a little stiffer than a brew…We get it! 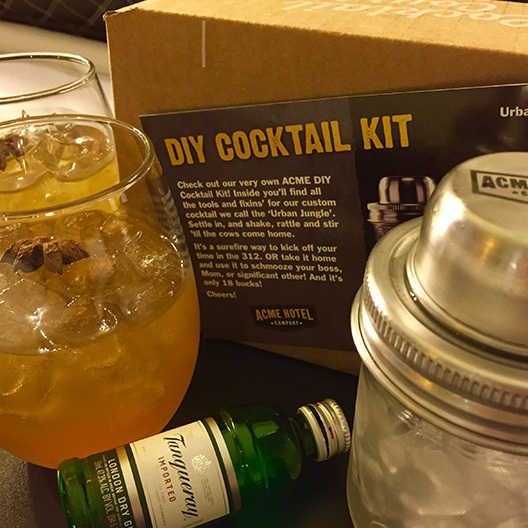 That's why we've equipped your room with a DIY cocktail kit so you can shake up your own delicious libation. The kit is 18 bucks, makes 2 drinks, and the shaker is yours to keep! Cheers! It's nice to have friends in high places. 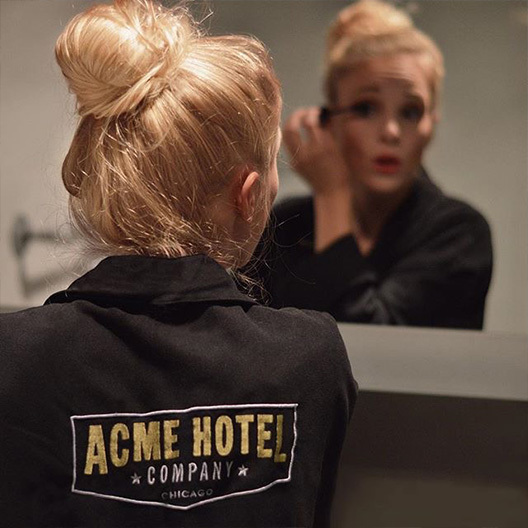 When you stay at ACME, you earn points good toward return stays or for stays at tons of super cool hotels around the globe. Click HERE for easy-breezy registration and let the benefits begin with ACME's exclusive Peakpoints from World Hotels.